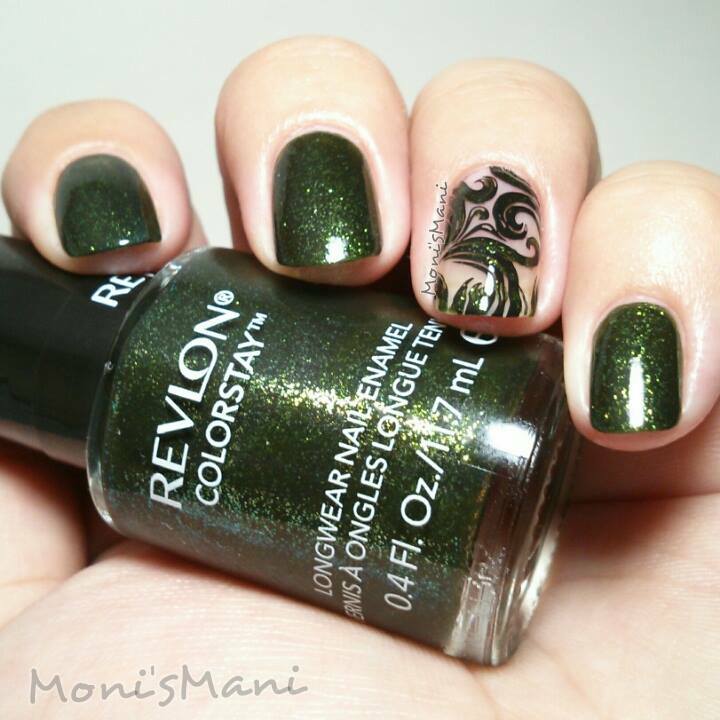 So today I have for you this gorgeous hunter green with golden micro shimmer called Rain Forest by Revlon Colorstay. I found this baby on clearance at Ulta and kinda bought it on a polish addict frenzy haha.. I am glad I bought it though because it is beautiful! really deep and unique green tone and the micro shimmer shines through beautifully. I did a little negative space stamping on it using MoYou London Sailor Collection 04 (check out the review and plate images here). 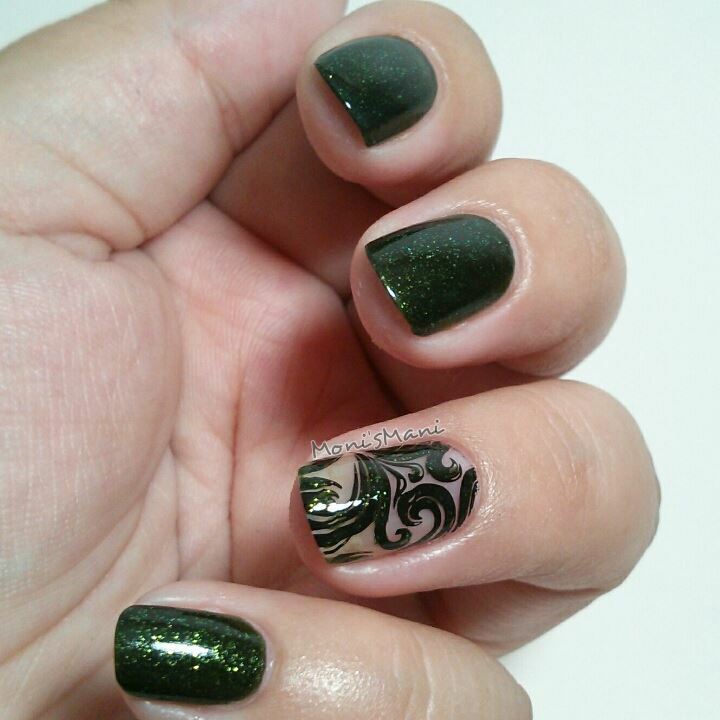 Stamped in black and added a couple of Rain Forest strokes with a thin nail art brush. Two coats plus top coat in the pics, hope you like it!! Thank you so much for reading and please let me know what you think of these shorter posts and of the mani!